A table full of female models was recently enjoying a girls' night out at Abe & Arthur's, a steakhouse in the Meatpacking District, when a man sent one of the women a note on a cocktail napkin. 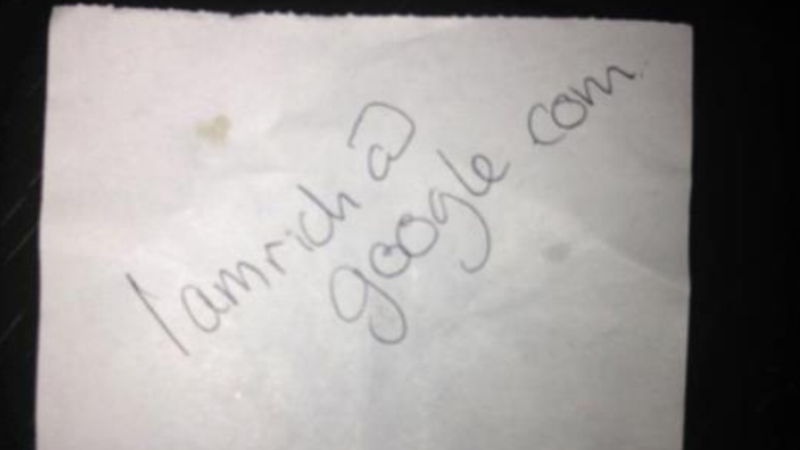 It read: "iamrich@google.com." The women posted the napkin to Facebook and crowdsourced ways they might reject the overture. In a way, it brought together avatars of the new tech scene with icons of established fashion power. But it also marked, in Internet lingo, an epic fail. There is, of course, the chance that his name is "Rich"? Ladies: there's only one way to find out.